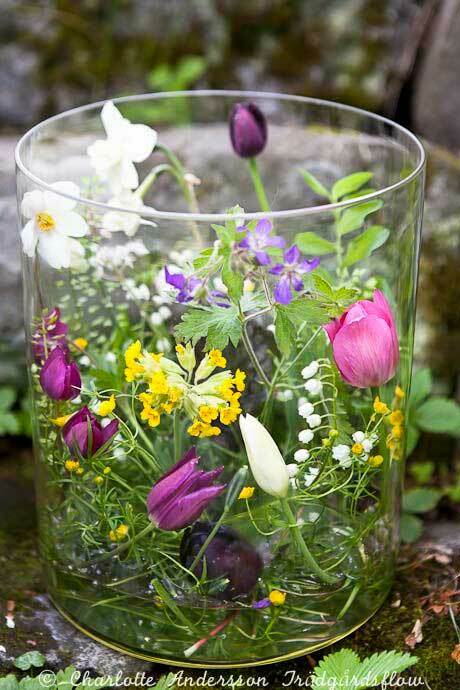 Need inspiration for home-picked flowers? 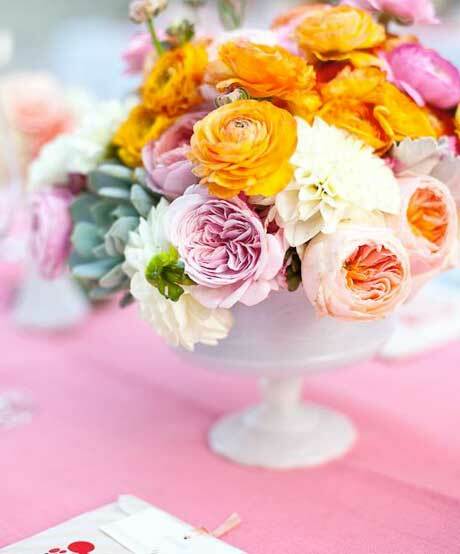 Check out these gorgeous spring creations. 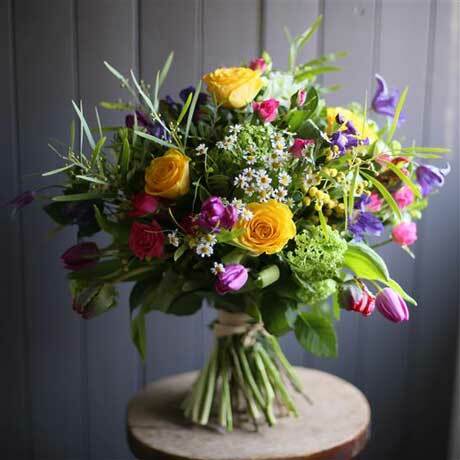 This lovely arrangement by Meades Florist (above) includes tulips, roses, chamomile and clematis. 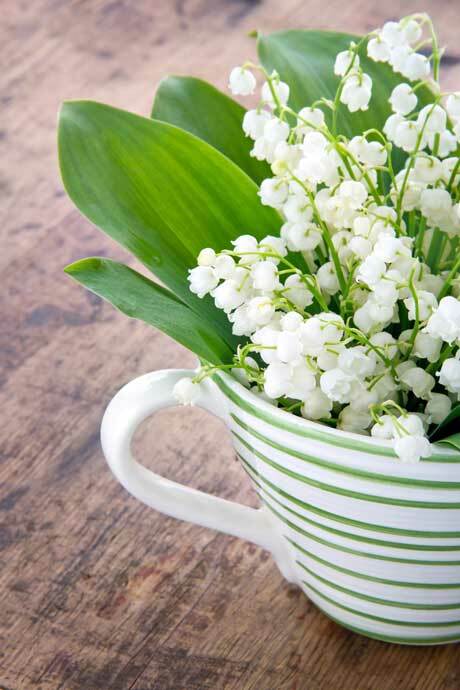 It’s a simple bouquet that works with any flower – whatever is popping up in the garden now. 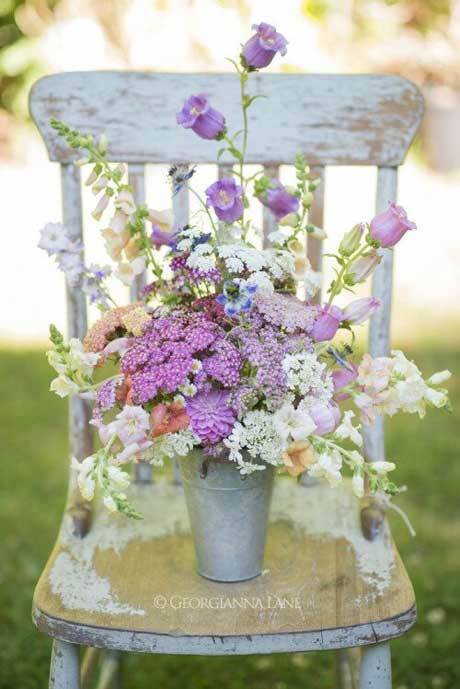 This is a late spring arrangement (above) with foxgloves, campanula, dahlias, snapdragons and yarrow. 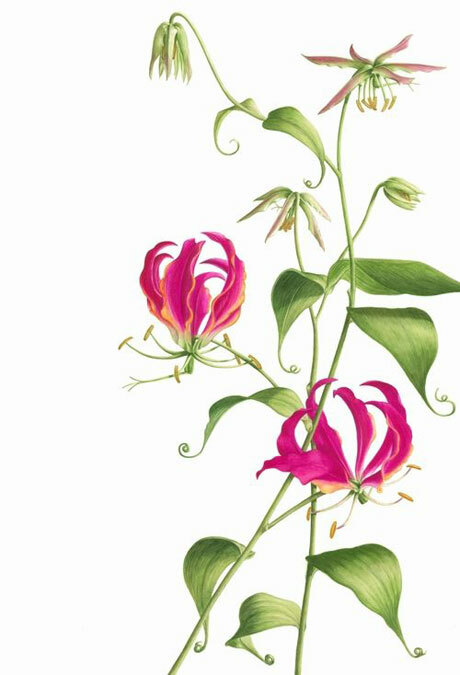 All these blooms are long lasting in the garden, and the vase – it would make an excellent summer display too. 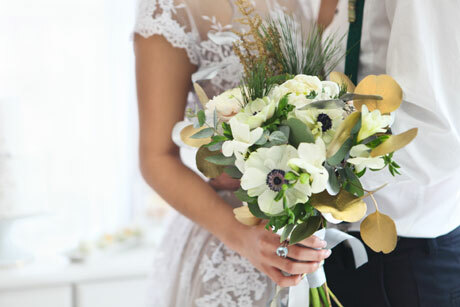 You can see this arrangement over at Casa di Stile. 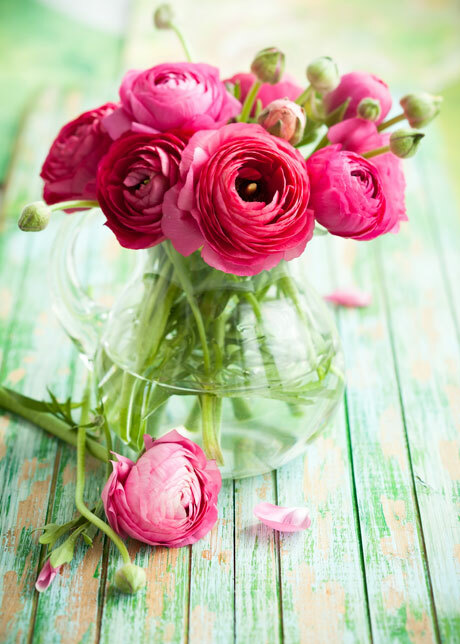 Who doesn’t love ranunculus and cabbage roses with their soft, billowing petals and sheer elegance? 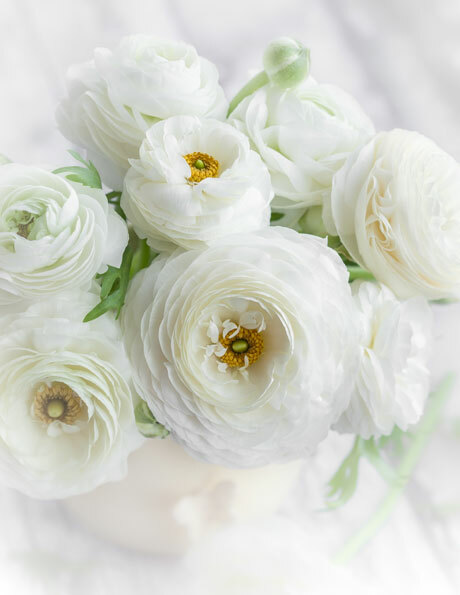 Ranunculus come in all colours, so if orange is not your thing, there are a multitude of other hues that will fit the bill. 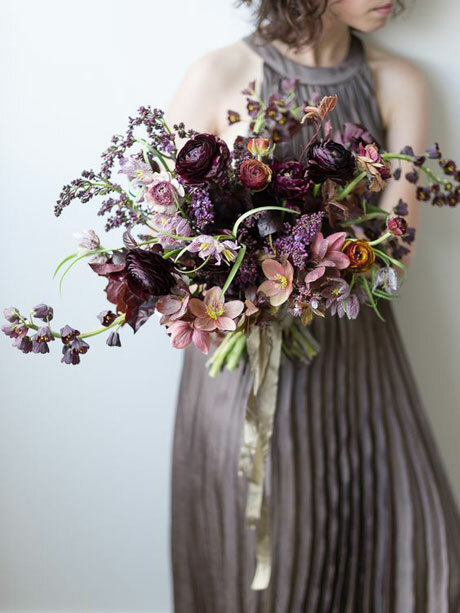 This arrangement features over at 100 Layer Cake, the flowers by Brown Paper Design and photography by Annie McElwain. 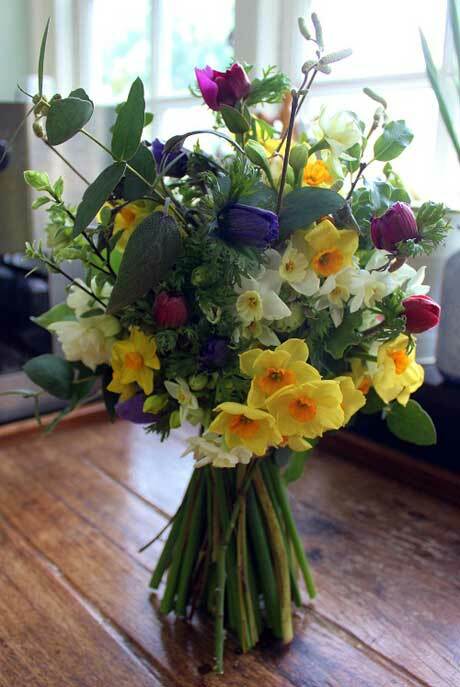 I LOVE this arrangement by Charlotte of Tradgardsflow with tulips, cowslips, geranium and lily of the valley. So very simple yet so elegant. 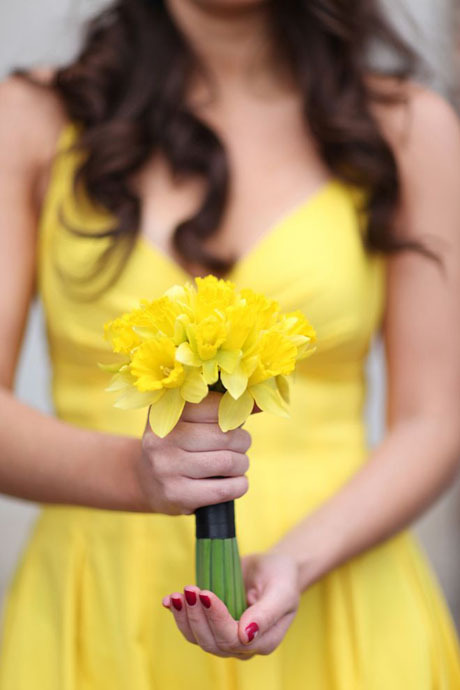 Have you planted your daffodils yet? I have a large bag of them to plant, though I have no idea what variety they are. 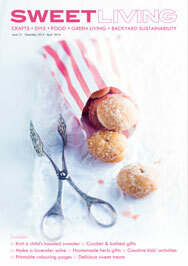 They were given to me – so it’s kind of like a lucky dip. I do like white ones though. Like this gorgeous variety called ‘Mount Hood’. 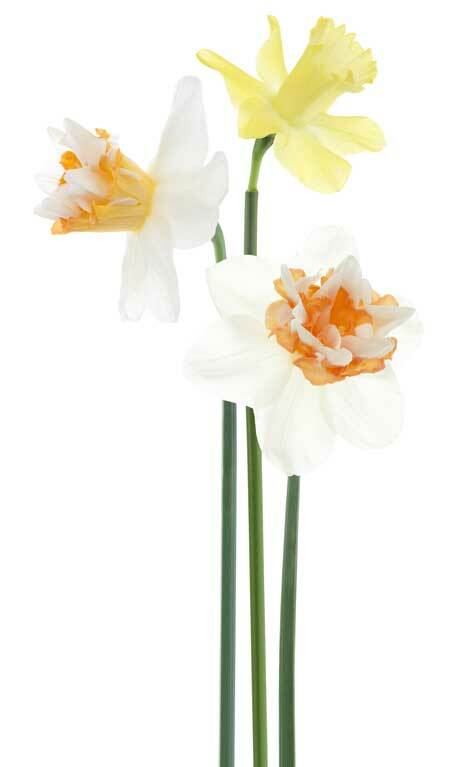 I might need to get some more daffs to ensure I have some white ones too. 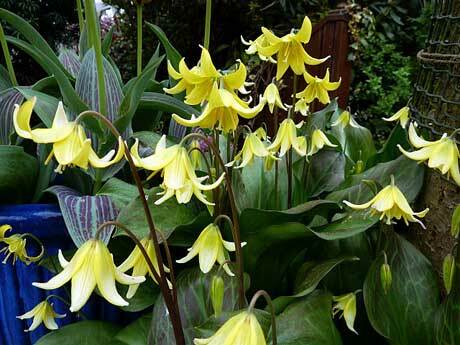 ‘Mount Hood’ is available from Fiesta Bulbs. Photo credits: Top image from here; Bottom image from Wayside Gardens. 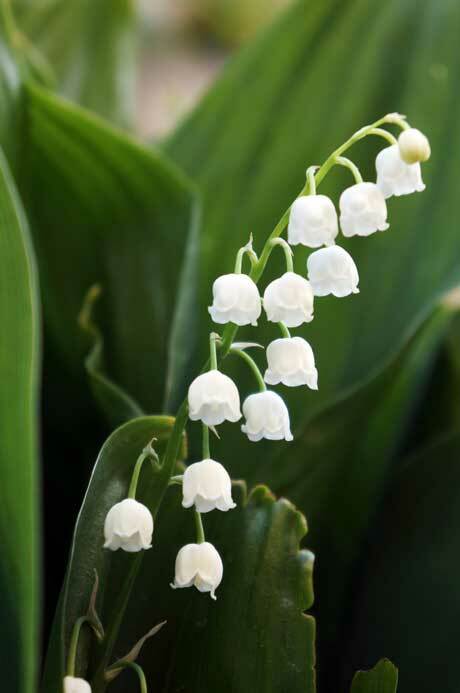 Lily of the valley (Convallaria majalis) is a rhizomatous perennial with nodding white bell-shaped flowers in spring. 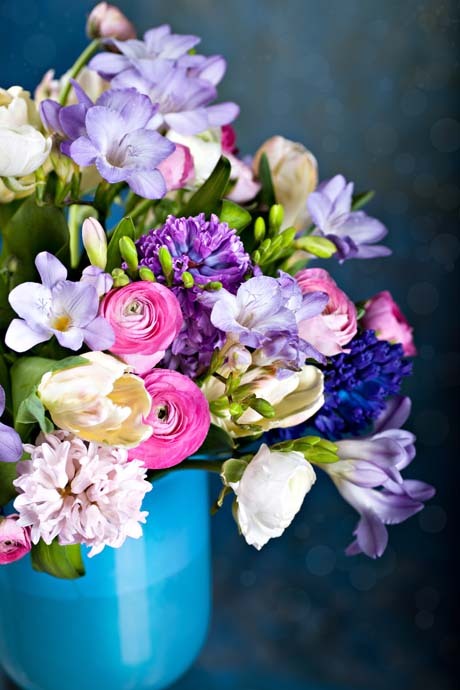 The flowers are highly perfumed, adding a delicious fragrance to indoor displays. The trouble is, these plants are not that freely available here. 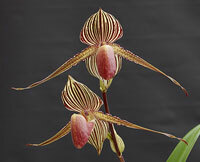 I suggest searching for them on the internet, or try Maple Glen Nursery in Southland. You can find a rose-blushed version too, from Ashton Glen and Wake Robin Nurseries. 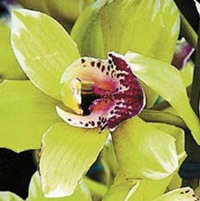 Plant in fertile, free-draining soil in part shade. These are woodland plants, so avoid full sun. Water well after planting, then water as needed throughout the growing season. Adequate moisture is not usually an issue here with our wet winters. 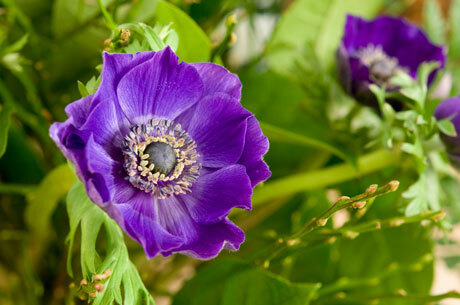 If you haven’t already, you can get your winter/spring anemones planted now. Gosh, I love these plants. 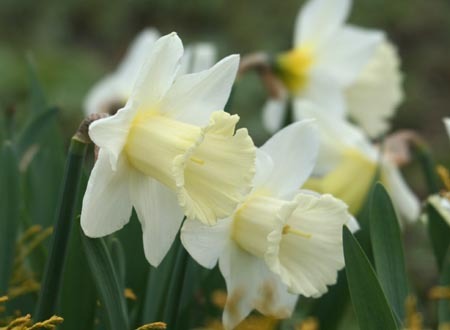 They are one of my absolute favourite flowers, and year after year they give me loads and loads of pretty blooms – all from such tiny, ugly bulbs (actually corms). 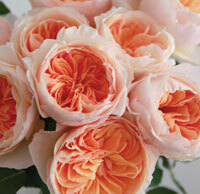 They continue to flower for two to three months (sometimes longer), and last for about seven days in the vase. To break dormancy and encourage germination and good flower production, place corms in the fridge prior to planting (six weeks). Then soak for a few hours in tepid water before planting out in full sun in compost-enriched soil. The bulb packet should indicate how to plant them, but for the record, plant anemones with the corms pointy side down. These bulbs are gluttons for food. Feed with a general purpose fertiliser once a month and keep well watered. 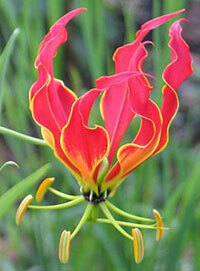 They will continue to flower if you do this, so you will have lots of blooms to pick for indoors. 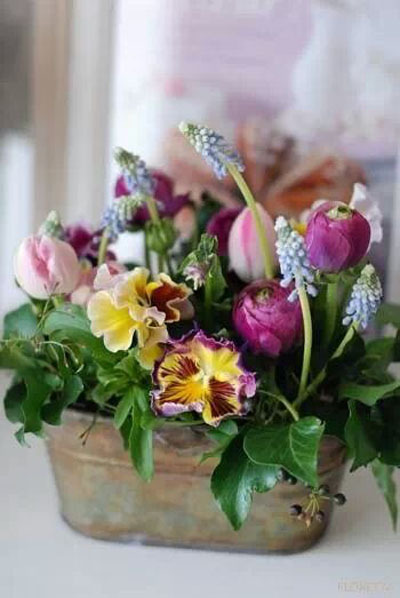 The corms do sometimes produce flowers the following year, but it’s best to plant fresh ones each year. 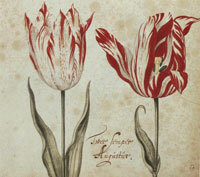 Corms are in shops now, or look to specialist mailorder nurseries such as NZ Bulbs. Spring blooms. How lovely. Not much more to say, really. They’re divine. 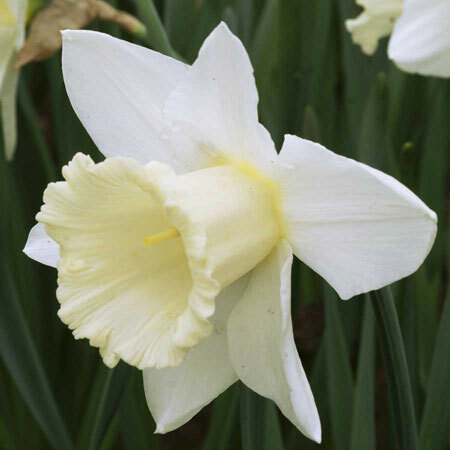 Looking for spring bulbs for a shaded spot? There are several that do well out of full sun. Bluebells, both English (Hyacinthoides non-scripta) and Spanish (Hyacinthoides hispanica) forms, naturalise well, especially in dappled shade and moist, humus-rich soil. English bluebells can be distinguished from Spanish bluebells by their cream stamens (the Spanish have blue stamens). 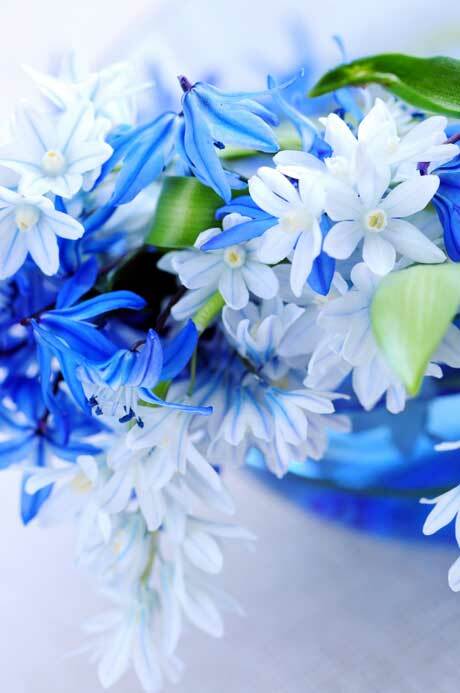 The flowers of the Spanish bluebell are larger and showier. The middle photo above shows bluebells with scilla. 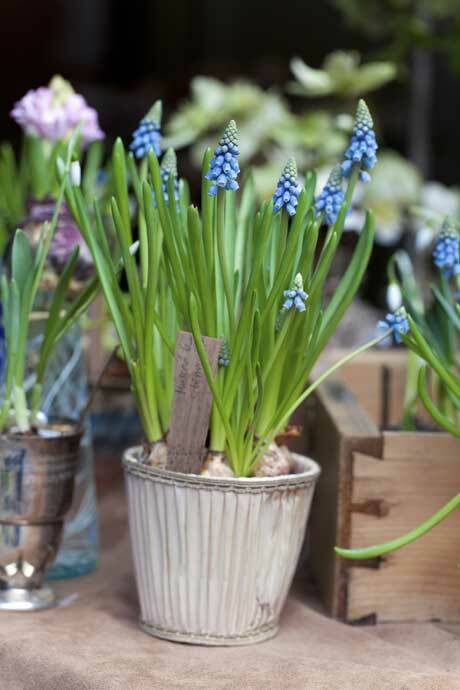 Bulbs for naturalising need more room than other bulbs to allow room for multiplying, so take that into consideration when planting your bluebells. I get ridiculously excited when new cut flower varieties are released, like this gorgeous freesia called ‘Gabrielle’, from GardenPost (bottom image). 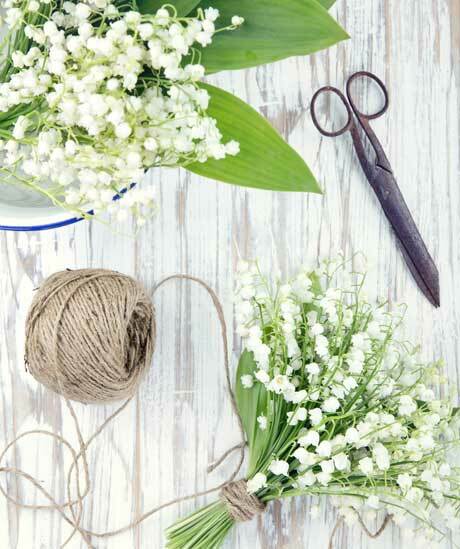 Grown commercially for the cut flower market, its long stems (40cm high) and fragrant white flowers are ideal for picking. 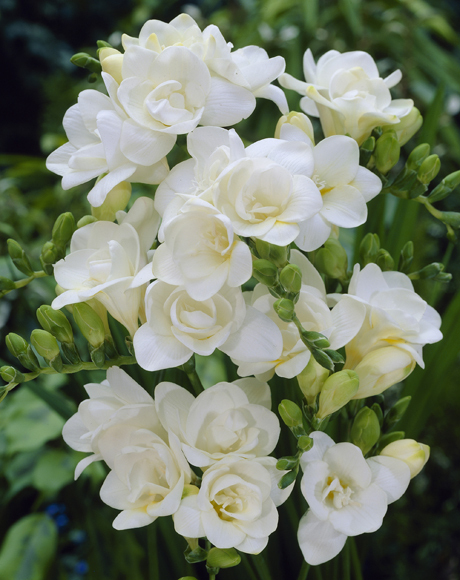 Freesia corms can be planted now for late winter/spring blooms. 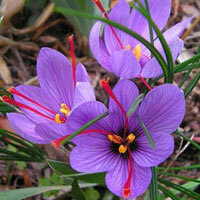 Plant corms 5cm deep and 8-10cm apart in a well-drained spot in sun or light shade. Blooms typically appear 110-120 days after corms are planted. 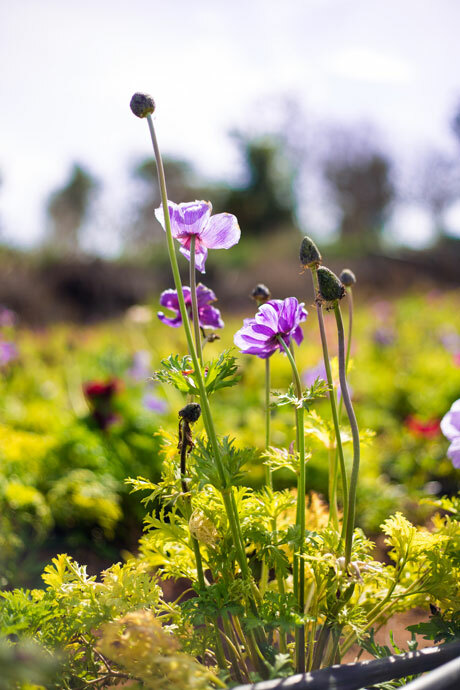 Stagger planting times for a longer flowering season, but don’t plant out too late – flowering during longer days reduces the number of flowers per raceme as well as the number of lateral flower stems. 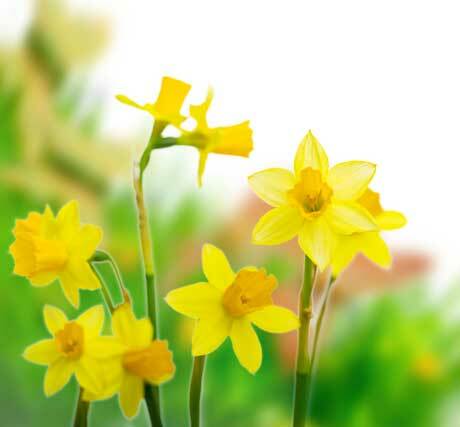 Optimum soil temperature for flower initiation is 12-15degC.